They built a civilization that lasted longer than ancient Rome did. They defeated the mighty Khmers and ruled Angkor shortly after Angkor Wat was built. They created some of the finest art in Asian history. I got hooked on Cham art when I saw a drawing of an ancient temple 20 years ago–it was one of the most entrancing buildings I ever saw. 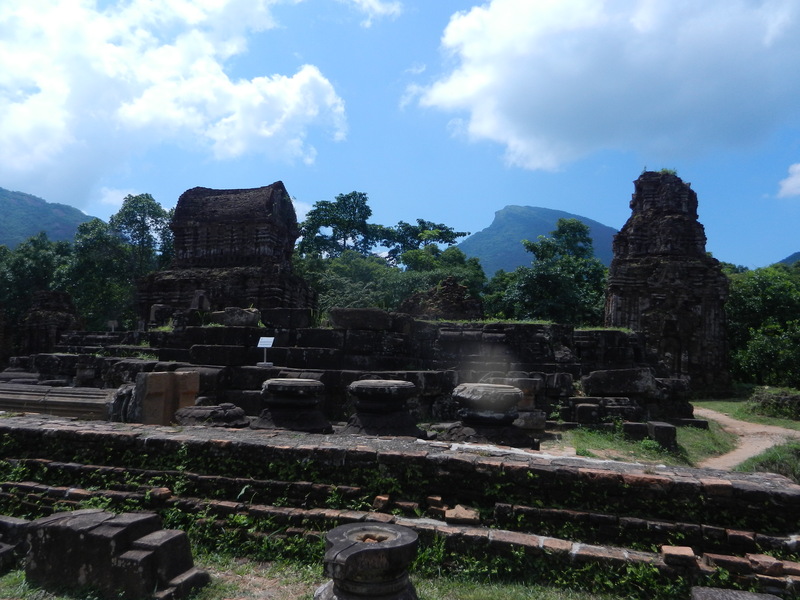 So the Cham legacy was at the top of my list of things to explore in my recent trip to Vietnam. 1. 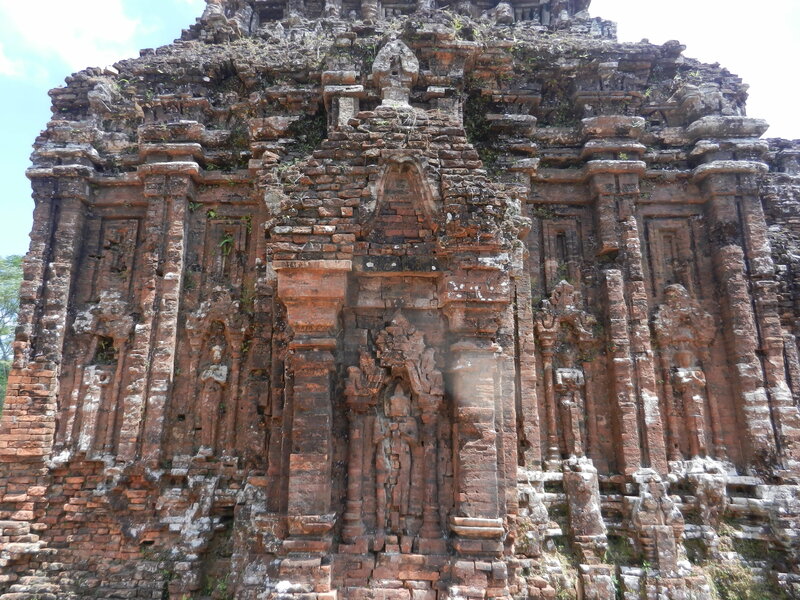 They thrived in southern and central Vietnam from about 500 CE. 2. 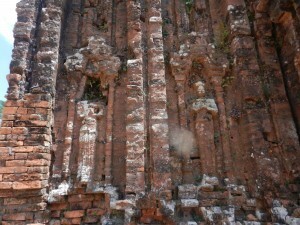 Their homeland was south of the Red River area, where ancient Vietnamese culture emerged. 3. They spoke a very different language than Vietnamese. The Cham language was in the Austronesian family, which is spoken by people over a large area of the Pacific Islands. Vietnamese is Austro-Asiatic, like Khmer. Anne-Valerie Schweyer, in Ancient Vietnam, writes that they probably came to Vietnam from the sea. 4. The Chams and the Vietnamese didn’t get along too well. The Vietnamese population expanded in the 11th century and began one of Vietnamese history’s major themes, the march to the south. Champa was in the way and it didn’t have enough people to counter the Vietnamese onslaught. They conquered the Cham political center, Vijaya, in 1471. 5. 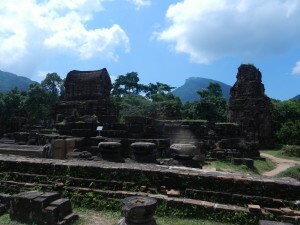 Champa entered a long period of decline as the Vietnamese kept coming and founded Saigon (Ho Chi Minh City). Champa ceased to exist as a state in 1832. 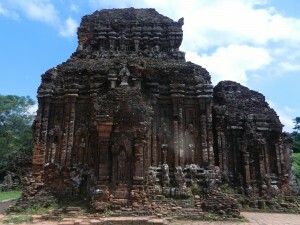 Its descendants still live in southwestern Vietnam, and across the border in Cambodia. They’re ethnic minorities in both countries. So Champa existed for well over 1,000 years. While it thrived, it created art with a combo of symmetry and elegance that can compete with any other culture’s. The above 3 shots are from just one temple. 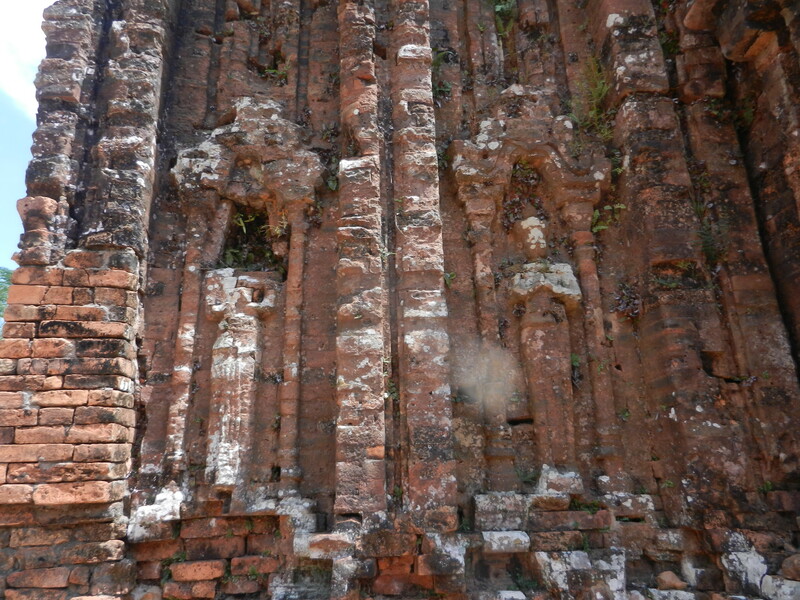 It’s at My Son, which was the main ritual center in Champa. Less peaceful shots have been taken at it. The Americans heavily bombed My Son, and there’s still a huge bomb crater just in front of this building. But its stately proportions and refined forms still reign supreme. In the next post on the Cham, we’ll take a closer look at these mysterious and greatly under-appreciated people and see what made them tick.